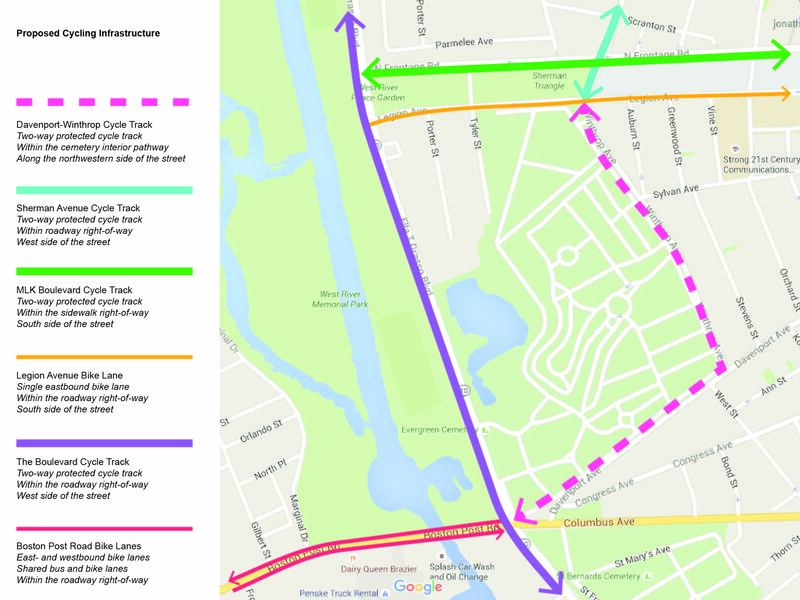 To view the Complete Street Request Form for this proposed cycle track, click here; and to vote for this infrastructure project on SeeClickFix, click here. Sherman Avenue is an important cross-town thoroughfare connecting the Upper Hill to the Highwood neighborhood of Hamden. Eventually named for Union Army war hero, William Sherman, sections of the what would one day become the avenue began to appear in the 1860s. Today, Sherman Avenue is a wide street lined primarily by medium-density residences, parks, and schools with ample width available to make a fundamental change to the corridor. Originally, in this section of Sherman Avenue, the street ran straight into Oak Street (later renamed Legion Avenue) intersecting with Winthrop Avenue to form a small triangular green (see the 1934 aerial view in the banner image above). Today, Winthrop Avenue has been separated from its southern portion behind MLK Boulevard (previously North Frontage Road), while Sherman Avenue has taken on a curvilinear route to ease vehicular movements at the intersection. The planned Route 34 Highway was never completed through the area yet the adjacent land remains undeveloped and Sherman exists as a mere four lane connector to the pair of one-way frontage roads. Running from George to Chapel, a street that became Sherman Avenue first appeared In the 1865 City Directory. At 48-feet wide, the street became the center of a new middle class neighborhood in the late 19th century. Wood-frame mansions, and large two-family houses quickly developed along Sherman Avenue and its side streets to the west. Today, many of the large houses have been converted to medical offices associated with St. Raphael’s, or rental apartments for the working class population that has redefined the neighborhood over the last half century. Recently, bike lanes were painted along Sherman Avenue between MLK Boulevard and Goffe Street. Beyond Munson Street, Sherman Avenue sheds its arrow-straight trajectory as it passes by Beaver Ponds Park in favor of a curving route around the park and towards Newhallville. Initially, Sherman Avenue terminated at Goffe Street, but by the turn of the 20th century, plans to extend the avenue through the park emerged. In the Report of the New Haven Civic Improvement Commission, the authors, Cass Gilbert and Frederick Law Olmsted Jr., actually recommended against extending Sherman Avenue through the park. Against the wishes of the 1910 Plan for New Haven, however, the City did layout a winding street at the edge of the Dixwell and Newhallville neighborhoods and Beaver Ponds Park in the 1920s – calling it Sherman Parkway, which reflected a popular trend at the time of creating wide park-like avenues in the City (see Tower Parkway, Norton Parkway, Edgewood Mall, etc.) In the 1950s, the City also built Hillhouse High School atop former parkland between Sherman and Crescent. In this section of the street, Sherman loses both of its bike lanes and on-street parking on the west side of the street in favor of a wide shoulder. Where a straightened Sherman Avenue reemerges from the park and narrows down to 30 feet wide, the oldest section of the roadway reveals itself. Located right at the border between the Town of Westville and the City of New Haven, this portion of the road was originally known as Fruit Street and existed along with a cluster of narrow streets and sparse development near Dixwell Avenue. Around the time that Westville and the City consolidated in the early 1920s, the Sherman Parkway extension met Fruit Street where it continued to the border of Hamden and again changed names – becoming Bowen Street. Passing the New Haven Police Training Academy, the new Amistad Academy High School, and the public King-Robinson Pre-K-8 School, Sherman Avenue maintains a travel lane in each direction and a parking lane on the east side of the street. A protected cycle track along the entire length of Sherman Avenue could provide a viable alternative to driving along this important cross-town thoroughfare. At 48-feet wide for most of its length, Sherman Avenue is an ideal candidate for cycling infrastructure separated from moving vehicles. Cycle tracks are safer than traditional bike lanes and are therefore more likely to be used by inexperienced and vulnerable riders. Sherman Avenue traverses eight neighborhoods, many of which are home to a large population of low-income families with children who would benefit from safe multi-modal infrastructure that is used with an affordable mode of transportation. Between Legion Avenue and MLK Boulevard, Sherman Avenue can be reduced from 4 12-foot wide lanes to three lanes – one travel lane in each direction and a central turning lane. This would create space for a two-way protected cycle track on the west side of the street. At the intersection of Legion Avenue, cyclists can activate the signalized crossing light to access the proposed Legion Avenue bike lane or continue south by using the existing interior pathway system of the Evergreen Cemetery that connects to proposed cycling infrastructure along the Boulevard and Boston Post Road. 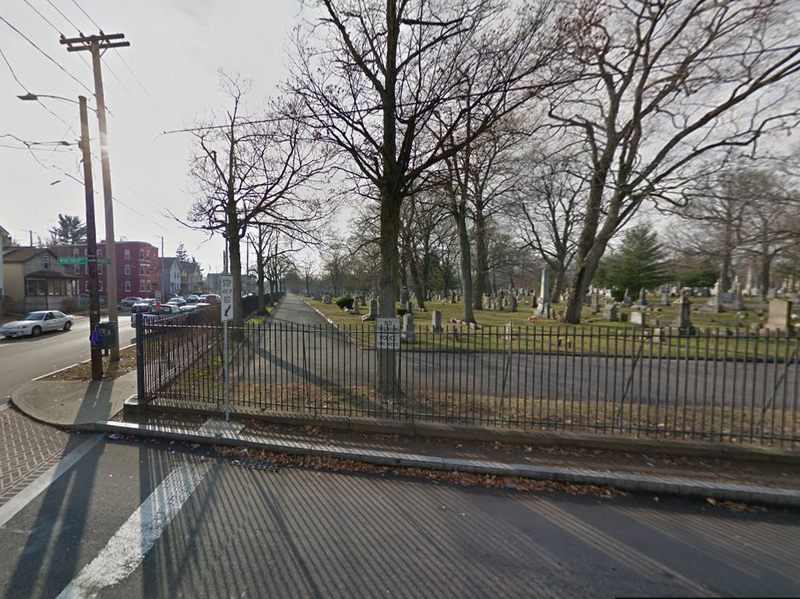 I suspect that Evergreen Cemetery may be willing to allow their interior pathway to be retrofitted for an official bikeway with proper markings, paving, and signage if the City were to repair sections of the cemetery’s broken fencing. Cyclists headed northward could trigger another signalized crossing in order to access proposed biking infrastructure along MLK Boulevard or continue on Sherman Avenue. North of MLK Boulevard, the existing dedicated bike lanes can be combined along the west side of the street to continue the protected two-way cycle track beyond the Route 34 corridor. A travel lane in each direction and existing on-street parking would remain in tact, though would narrow from 11 and 8 feet to 10 and 7 feet, respectively in order to create room for a buffer populated with delineator tubes next to the bikeway. Beyond Hillhouse High School and Munson Street, where west side on-street parking is already absent, the cycle track would replace the existing wide shoulder lane. Conflicts with a half dozen streets can be avoided between Goffe and Bassett Street by locating the cycle track on the west side of Sherman Avenue where cyclists would ride next to Beaver Ponds Park. Past Amistad High School and the New Haven Police Training Academy where Sherman Avenue narrows to 30 feet wide, the existing on-street parking would need to be removed in order to accommodate the cycle track and buffer zone. South of Bassett Street, there are only two residential properties that face Sherman Avenue, but both have driveways and rear parking. The biking route could terminate at Bassett Street which gives access to Lincoln Bassett School and the heart of Newhallville to the east, and King-Robinson School and the Crescent bike lanes to the west. The cycle track could also continue north to Hamden’s Arch Street, but more residential properties would be affected by having on-street parking removed. Sherman Avenue is an important cross-town thoroughfare in New Haven connecting the Upper Hill, West River, Edgewood, Dwight, Beaver Hills, Dixwell, Newhallville, and Highwood neighborhoods; the Troup, Hillhouse, Amistad, and King-Robinson Schools; De Gale Field and Beaver Ponds Park; and Yale-New Haven Hospital’s St. Raphael Campus. 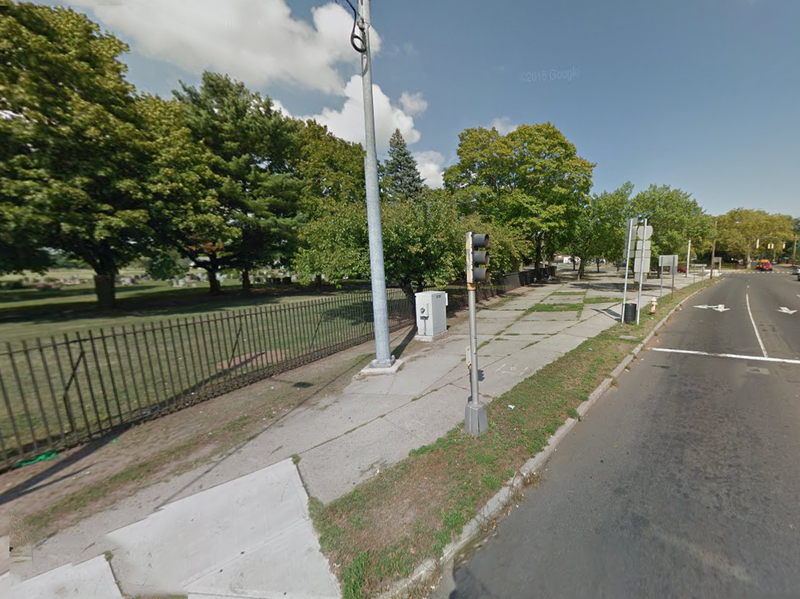 At 48-feet wide, Sherman Avenue is a ceremonial street that designates the border between Dwight and Edgewood, and Dixwell and Beaver Hills. The thoroughfare is lined by large former mansions and two-family homes, many of which are now offices and apartments. The street’s ample width, minimal traffic, adjacent residential and commercial land-uses, and large population of low-income families with children make Sherman Avenue the ideal candidate for a multi-modal transportation infrastructure investment. A two-way protected cycle track offers separation from moving vehicles – making them safer than the dedicated bike lanes that already exist along portions of the street. Cycle tracks are more useful for inexperienced and vulnerable bike riders, which increases the potential use of the infrastructure and is more likely to result in decreases in driving, reductions in car emissions, and improved air quality as well as better health of residents. At busy intersections like Legion, MLK, and Whalley, signalized crossing buttons (see above) can help cyclists avoid motorists when travel through intersections or turning. Streetscape improvements, and multi-modal transportation infrastructure upgrades have been known to increase adjacent property values, which could be an important part of encouraging investment and building equity in neighborhoods along Sherman Avenue.